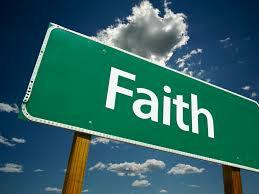 What’s faith got to do with community and youth work? This is a panel discussion event, which invites questions from the audience, aiming to answer the title question in both theoretical and practical ways, challenging dominant ideas as well as providing practical tools for practitioners. The event will be chaired and introduced by Professor Adam Dinham, Director of the Faiths and Civil Society Unit, Goldsmiths University of London. Invited speakers include Dr. Jasjit Singh of the University of Leeds, and Dr. Naomi Stanton of the YMCA George Williams College. The event is part of a series in which the Faiths and Civil Society Unit at Goldsmiths, University of London, brings together key academics and practitioners to explore the role of faith in public professions. The event will be followed by a wine an juice reception. You can register by contacting t.stacey@gold.ac.uk. Registration is on a first come, first served basis.